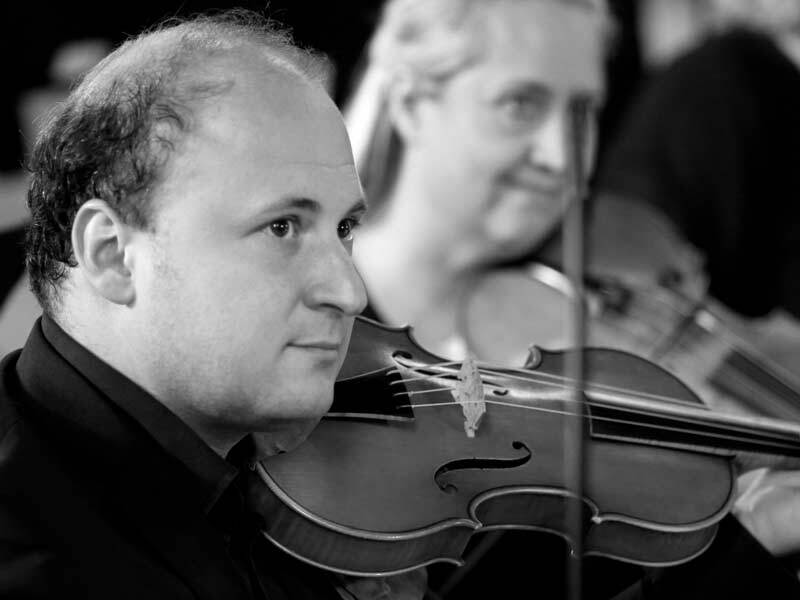 Known for his intelligent and virtuosic playing on both the violin and viola d’amore, Bojan Čičić specialises in repertoire ranging from the late 16th century to the Romantic period. A principal player of the Academy of Ancient Music for many years and appointed leader in April 2018, he has appeared as director with both AAM and the European Union Baroque Orchestra and been a guest leader and soloist with the Orchestra of the Eighteenth Century, the Orchestra of the Age of Enlightenment and the Budapest Festival Orchestra. Čičić has featured as a leader on numerous recordings with ensemble Florilegium, La Nuova Musica, and the Arcangelo Consort. His recording of J.S. Bach’s Concerto for Two Violins with Rachel Podger has been named the best available recording by BBC Music Magazine, and in 2017 his own group, the Illyria Consort, released their first album with Delphian, a recording of Carbonelli’s virtuosic Violin Sonatas. Čičić was recently appointed Professor of Baroque Violin at the Royal College of Music, and is passionate about training the next generation of instrumentalists in historically-informed playing styles. He plays a violin by F. Rugieri from the 1680s, kindly loaned to him by the Jumpstart Junior Foundation.